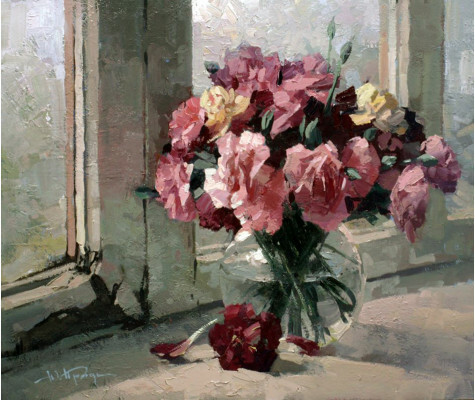 This original Painting ﻿`Flowers on the old window` by a Russian artist Yuri PRYADKO, is done in oil on canvas. 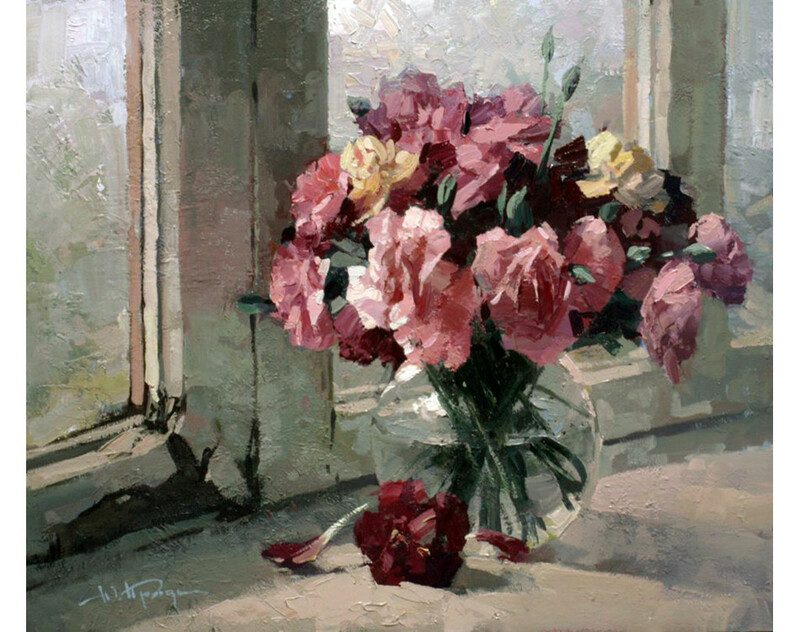 This Still life was created in Realism style. Yuri Pryadko was born in 1980 in the city of Pavlograd, Dnepropetrovsk region. At the age of 17 he started painting independently. Since 2000, the artist's works took part in competitions and were exhibited in a number of city, regional and foreign exhibitions. Since 2004 he lives in the city of Kiev. 2007 - the city of St. Petersburg - the winner of the fund "Cultural Heritage of Russia". 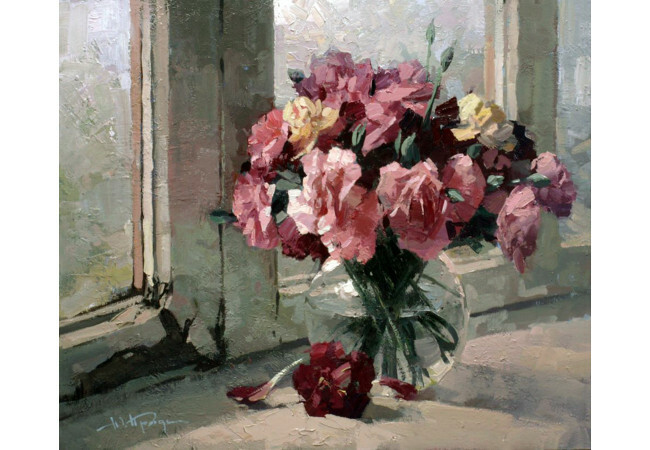 The paintings of Yuri Pryadko are held in private collections around the world.